The central region of Zagreb echoes the crescent shape of Croatia itself. 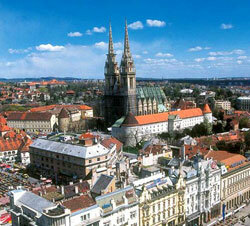 It is also known as the Zagreb ring, since it almost completely surrounds the capital city of Zagreb. The city itself is not part of the county.